This selected plant is a compact evergreen tree and is an abundant flower producer. 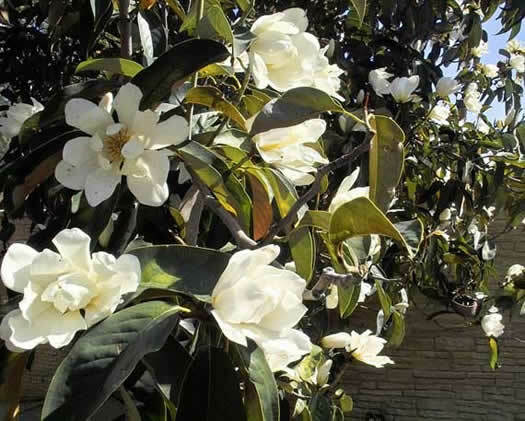 Large highly perfumed flowers; tea cup sized in late winter and spring. In winter, in cold climates, leaves can turn yellow. Excellent specimen, pot, screen or shrubbery plant.